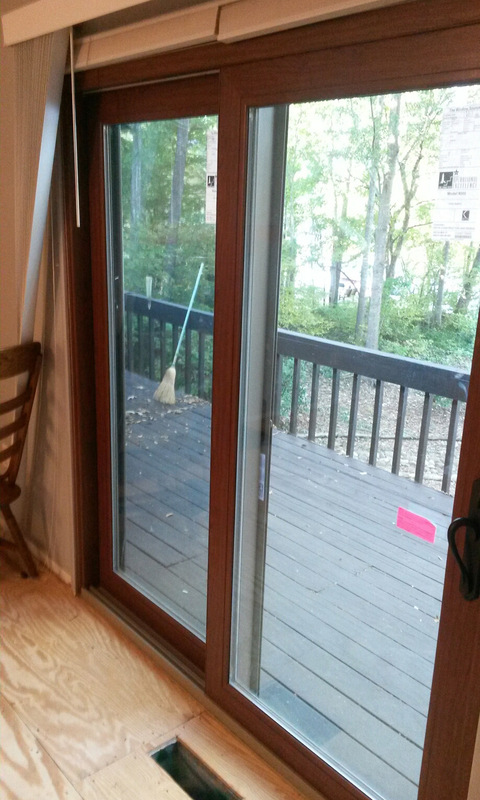 Window Source of Athens replaced a sliding patio door for a homeowner whose old doors had become foggy and outdated. 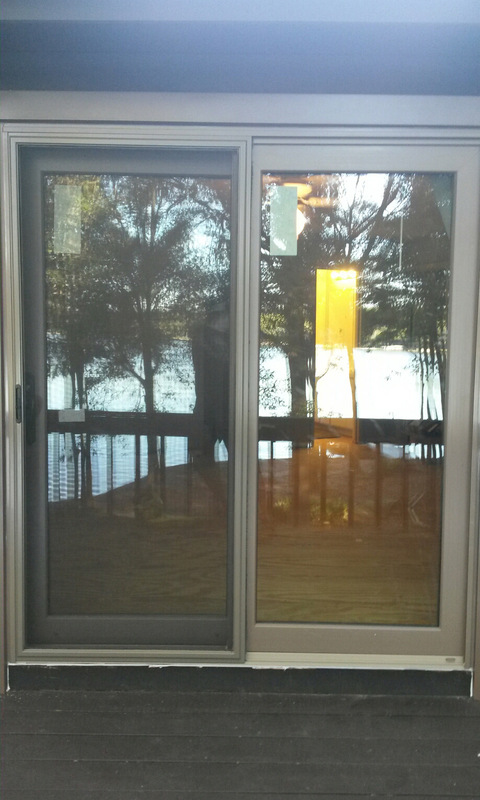 The new door is one of our top-of-the-line 9000 series sliding doors, and the homeowner added interior and exterior finishes to better match the appearance of the home. The exterior color is Sandstone, and the interior is a maintenance-free vinyl woodgrain in Rosewood. 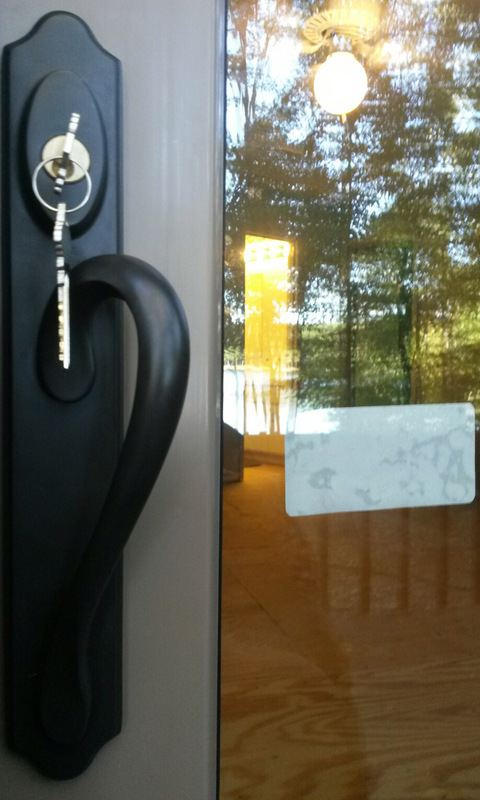 The homeowner also selected an oil-rubed bronze premium handle for extra elegance. Looking for a sliding door? Check out our selection. Read more about our customization options and woodgrain finishes here.